Today we live in an era of growth hacking and new startups taking the world by storm. And that’s why most marketers and businesses are now focusing more on getting new customers to expand their reach and sales. Though there’s nothing wrong with sticking out to grow your customer base, it’s crucial to consider the real value of the brand loyalty and customer retention. Customers are the lifeblood of every business, so it’s important you should keep generating more leads and also retain your existing customers. 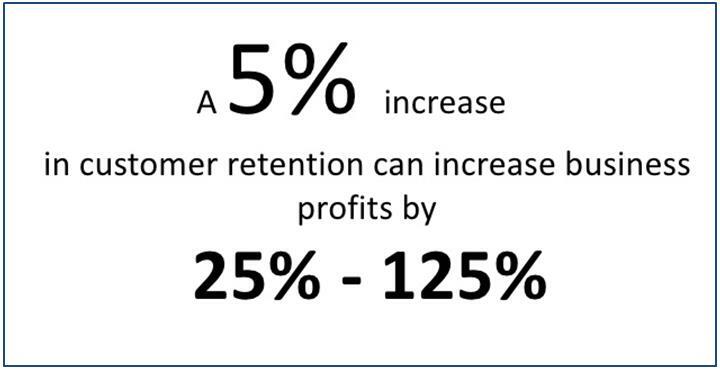 With an increase of just 5 percent in customer retention can result in a whopping rise of 25% - 95%, according to Bain & Company, whereas according to Gartner it can increase up to 125%. But, the other most important question is how to increase your customer base? Today, the web has completely transformed the people shop everything right from fruit to flat-screen TVs by comparing them. The demand of shopping online has significantly fuelled a race to join the likes of leading ecommerce giants, with small independent ecommerce retailers coming up every day. But, it’s quite crucial to keep in mind that rising sales don’t necessarily have to cost hundreds of thousands of bucks, small improvements can indeed make a big difference, even the biggest, well-established organizations can lose revenue unnecessarily with a small mistake, or overlooking small things that may cost them big! There are millions of ecommerce sites today, so the mere fact that you have introduced a new one doesn’t make it a successful business. Starting your business is the easiest part, but the hardest part is to get customers to find your website or online store. It's a tiring, never-ending challenge to develop customer relationships. It’s important to create long-term customer success. There’s a lot of talk about customer insight and personalization - that’s only because it works. Understanding your customers’ demands can bring better insights into your audience and lets you deliver services that are well-matched to your customer’s requirements. When it comes to making an amazing first impression and converting leads, your site is actually the place where the magic happens. Similar to salesman gathering information from customers through interacting with them, your website gathers information by visitor behaviors and actions. As you know more about your target audience, you can easily tweak your responses, engage, and better instruct them on the available products that are relevant to each individual customer. With real-time behavior-based personalization, your ecommerce can significantly increase brand awareness, generate qualified leads, build relationships, and eventually close deals. In this competitive online world, now is the right time to give your customer a better experience and provide more precise and appropriate interactions with your site visitors. By optimizing these communications, you can create brand loyalty and develop an exceptional customer experience – boosting engagement and making more sales. In today’s competitive environment, most of the individuals have the tendency to be hindered and “elbows out” in the manner they deal with competitors and peers. This is the same from the hyper-competitive environment that usually exists amongst startups in the same industry. While it may seem quite like a sound strategy, eventually it can hurt you. Having outstanding customer service can help blow your competition beyond the water with your customer base and perk up each visitor’s experience with your site. In today’s competitive online world, it’s daunting to stand out from the crowd since there are several options for customers to select from, but making the experience with your business enjoyable can assist your business to stand out online. When it comes to delivering world class customer service, think out of the box and look into the best way how you can enrich the usability of your site by assisting your customers and prospects all through each part of the sales funnel. Whether it’s 24*7 phone and email support or using a live chat service like Acquire to chat with your customers directly if they require any guidance or have any queries as they shop, your business should offer support before, during, and after it is required to make customers happy and satisfied. Ecommerce business really needs a live chat. The more supportive your panel is to your visitors and the more information your customer base is entrusted with, the more probable your customers will be satisfied with your ecommerce and buy your offerings over others. For every ecommerce business, live chat is a must tool. We are not talking about discounts here. We are talking about services, features, resources, or whatever else your customers will place some value on. Making your competitor’s customer into your own is similar to playing a game. To do it successfully, you need to grab their attention and then prove you’re a sensible investment. There are millions of websites today offering the same things as of yours. That’s why you need to make yourself stand out from the crowd. And to make yourself stand out from the crowd, you have to offer your customers something that your competitors aren’t. You need to offer them an experience which will make them enjoy shopping at your store. Like you can offer live video chat on your website, live video chat adds that ‘personal’ level to customer service. 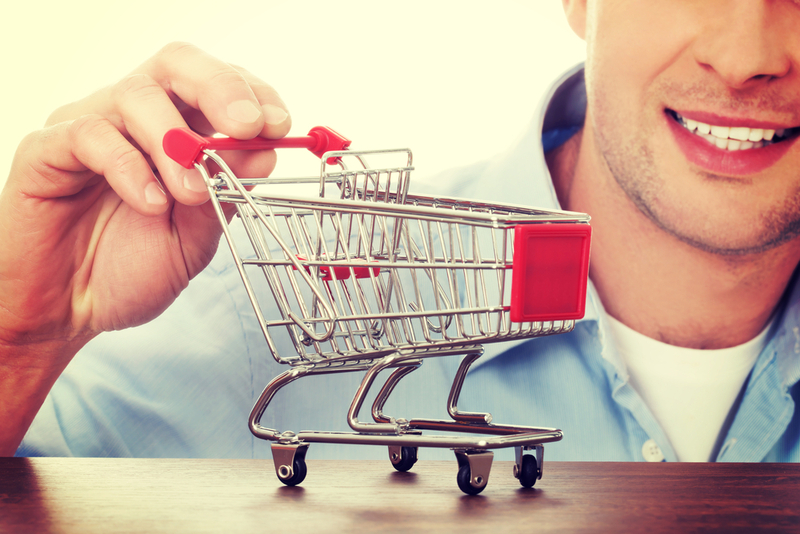 An efficient customer service can make a significant difference in online sales. Social media is undoubtedly one of the most effective ways to grab the attention of the audiences by sharing products, offers, sales and having interactive conversations. Sometimes social media can be very overpowering for numbers of business owners because of the number of networks to focus on and the constant updates on how to use each network properly. If you’re striving with social media, concentrate on 3 key areas: advertising, customer service, and measurement. Use leading social networks like Facebook, LinkedIn, Twitter, Whatsapp, and others to promote your best products, services and promotions a few times a week on each network. Don’t feel compelled to share the post to every channel over a few times per week due to any limitations. Leverage the power of social media to deliver top notch support to your customers and listen to what they’ve to say. You must make effective use of social media in your ecommerce strategy. Sharing content, products, and offers is not enough, rather making the audience connect with your posts is more important. Finally, measuring social media efforts to see what’s working for your business and what isn’t on every social media platform. If you have the best product to offer, and you keep improving it with time, you’ll have loyal customers. If you pair off that with any of the above-mentioned strategies, you’ll be close to unavoidable. People love to feel & experience like they’ve the best thing, no matter what that thing is, and they will do way much more than talk about it if they really feel like it’s the best. The perfect example for this — Apple Watch fans. 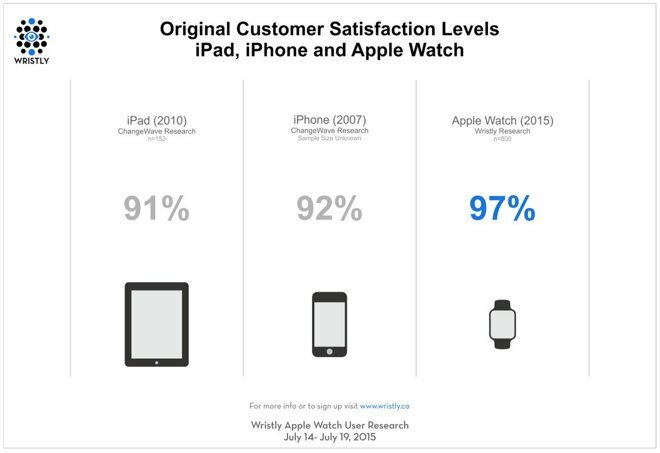 The majority of Apple Watch owners are very satisfied with the latest wearable, and, with overall customer satisfaction growing more than the levels noted for the iPad and iPhone at the same point in their lives. If you want to build your ecommerce on brand evangelists and loyal customers, you need to do something beyond the mass consumer expect. As compare to another asset, brand loyalty isn’t free. But like other good in business (or life), it’s worth working for. Whether that means putting yourself out to put your customers in the limelight or delivering maximum convenience is up to you. Just ensure you are doing something that makes you durable to replace and impossible to overlook.